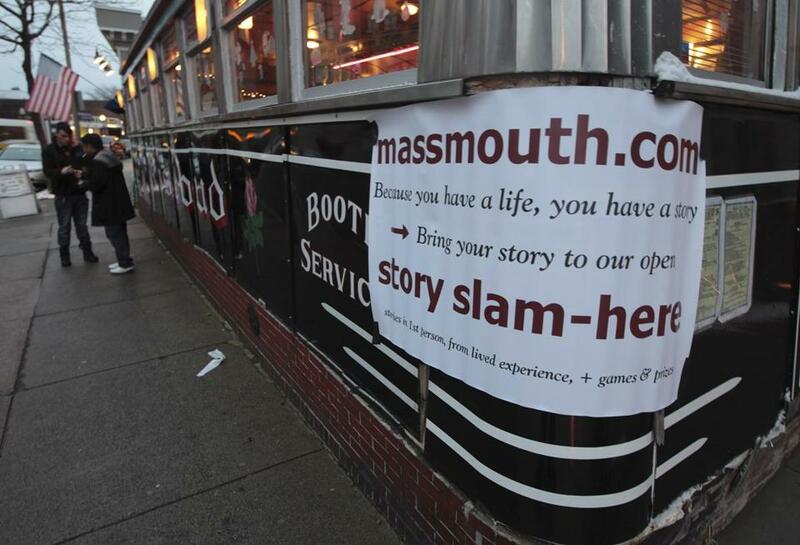 A story slam at Rosebud Bar and Grill in Somerville, hosted by a group called Massmouth. 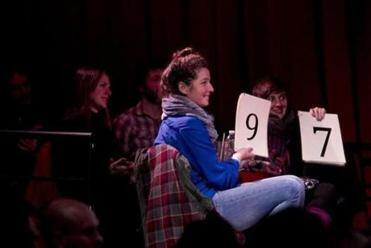 LaPerle eventually discovered there were live storytelling events going on all around him. 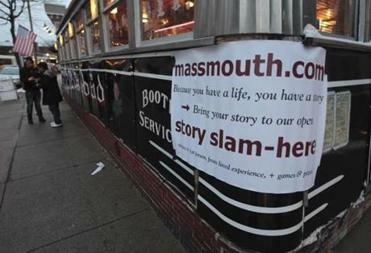 Throughout the year, local and national groups put on dozens of shows in and around Boston. 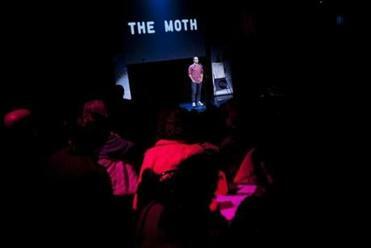 Massmouth, Story Space, Story Collider, Speak Up, Mortified, and The Moth itself routinely host events pairing those with something to say and those clamoring to hear them say it.